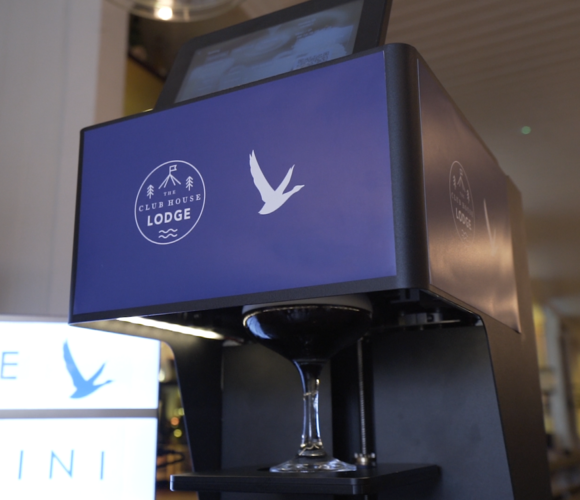 The Club House in Liverpool ONE (part of the NWTC family) has partnered with premium vodka Grey Goose to create personalised cocktails by printing selfies onto the drinks. Piloted from today on Espresso Martinis, all cocktail lovers have to do is take a selfie on their phone and send it via Bluetooth to The Club House’s specially installed selfie machine. Serious Selfie Kings and Queens can edit images to ensure you’re looking your best before the machine ‘prints’ your face, or image of choice, onto the top of your martini. So, if you like to be the star of the Selfie or love a good Boomerang, the Espresso Your Selfie is set to be a popular addition to The Club House drinks menu and is sure to become the star attraction on guests’ social media platforms. The special Selfie Espresso Martinis cost £8.95 and are available at The Club House now.